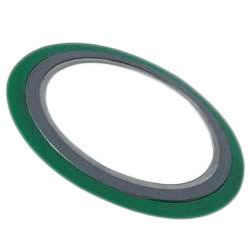 Our range of products include Semi Metallic Gasket. Owing to rich expertise and knowledge, we offer our clients high quality array of Semi Metallic Gasket. It is made from both metallic as well as non-metallic material. The array is very strong and resilient. Also, this product has strong seal ability. It finds wide usage in high pressure and high temperature application. The range is best in quality.